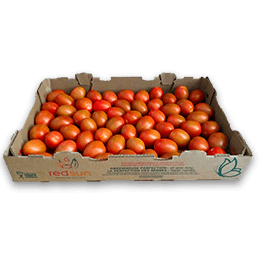 Good flavor comes in small packages with Red Sun Farm's on-the-vine tomatoes. 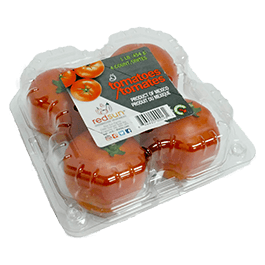 Perfect as a wholesome, colourful addition to any salad or entrée, our greenhouse grown tomatoes deliver taste that only vine ripening can bring. Choose from red, orange or yellow varieties, all featuring lower acidity and milder flavor. Box Size 22.64 x 15 x 3.43"
Known as our Big Beef. 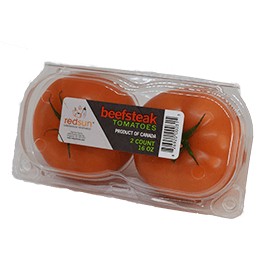 Our large, red-fleshed Beefsteak tomatoes are center of the plate perfect and great for stuffing, grilling or served up sliced for hamburgers and sandwiches. 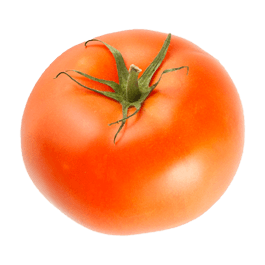 Plump and juicy beefsteak tomatoes are known for their texture and traditional tomato flavors. Dice for wholesome, full-flavored salsas or as a tasty addition to your favorite dishes - quality assured, healthful and delicious.